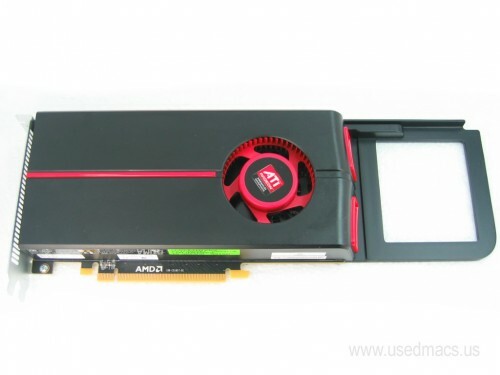 ATI Radeon 5770 HD PCI Express 2.0 x16 graphics card for the Mac Pro. Compatible with MacPro3,1, MacPro4,1, and MacPro5,1. Features 1GB of GDDR5 SDRAM. Two MiniDisplay Ports and one dual link DVI output support two 30 Inch displays at full resolution (2560x1600). This used Apple Graphics card is in good working order. OEM replacement. Includes power cord. Ships via USPS Priority Mail.